Before we fully transition the Tsunaguasij.net website from the recent “Golden Reunion” focus to back to being a forum for the ASIJ community, we wanted to express our deep appreciation for all the encouragement and support the reunion received from not only the Reunion attendees, but from those who could only attend in spirit. The reunion was intimate, emotional, educational and just plain fun and the personal and historical energy this much needed get-together released will no doubt be harnessed for a follow-up event in the not so distant future. The threads that bind us were in full view and the time that has passed since our youth went relatively unnoticed. Wow, what a fantastic Reunion!!! Better than I could have imagined. I'm still in awe, and once things settle down, will be in even more awe. Many info, features and changes coming to this web site. For now the following changes were made quickly for your info and input. Click "Peter's Talk" button to listen to or download Peter Tsukahira's wonderful talk. We are trying to add the other talks as well. Click "Video & Pic Upload" to send us your videos and pictures of the reunion. We will add them to this web page, and create a YouTube video. Click on "List of Attendees" to download the list. We added City and State info. Thank you to each and every one who attended. To the classmates who were not able to attend, you were there in spirit. I will cherish this reunion for the rest of my life and I feel many others will too. Thank you for being a part of my life. 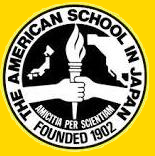 The class of 1968, in partnership with the classes of 1967, 1969, 1970 and 1971, has been furiously organizing an ASIJ “Golden Reunion” to be held in California during the Japanese “Golden week” 2018 spring holiday. This uniquely special reunion will include, not only those who will be celebrating their Golden ASIJ Anniversary, but also the greater ASIJ community, with alumni, spouses, classmates, other kinds of mates, former and current employees, parents, and friends enthusiastically invited to attend. This event will likely be one of the largest of its kind in ASIJ’s 116-year history. If you have had to miss any prior reunions, this should NOT be on that list. By searching out geographically accessible, exceptional and affordable venues to fulfill our promise and goal of attracting the largest turnout possible, we deep dived into a master list of possibilities including Rocky Mountain resorts, dude ranches, retreat properties of every kind including some you would never have imagined, and resorts in stunning locales. We are truly pleased with the results of our search. Mission Bay in San Diego, next to the Pacific Ocean, at the Bahia Resort Hotel.